Recently rebuilt stock 331ci V8 engine with less than 50 miles since completion! Needless to say it runs fantastic! Suspension is tight and the ride is a smooth like only a Cadillac would. An older frame-off restoration with some photos history of work completed. Chrome and Stainless has all been re-done to a high quality shine. Power White Soft Top, Power Seat and Power Windows all work smoothly. Lights and gauges are all working as well. 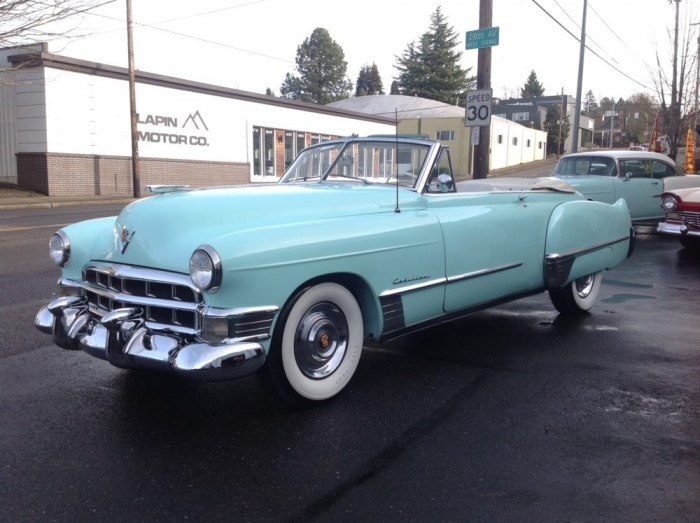 A very good driving Cadillac, ready for you to join the local Cadillac Club and go Touring! !